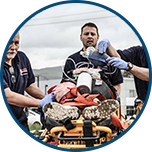 At Unitek EMT, our state-of-the-art EMS courses are consistently in line with industry standards to provide you with the latest techniques for first-response treatment, along with the knowledge and skills needed for current industry certifications. 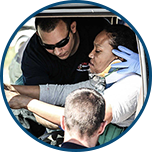 Taught by experienced EMS professionals, our workshop-style classes include real-world scenarios and hands-on training to enhance your skill set. Intensive 3-day course provides CE credit. Learn CPR and other cardiovascular life support skills.